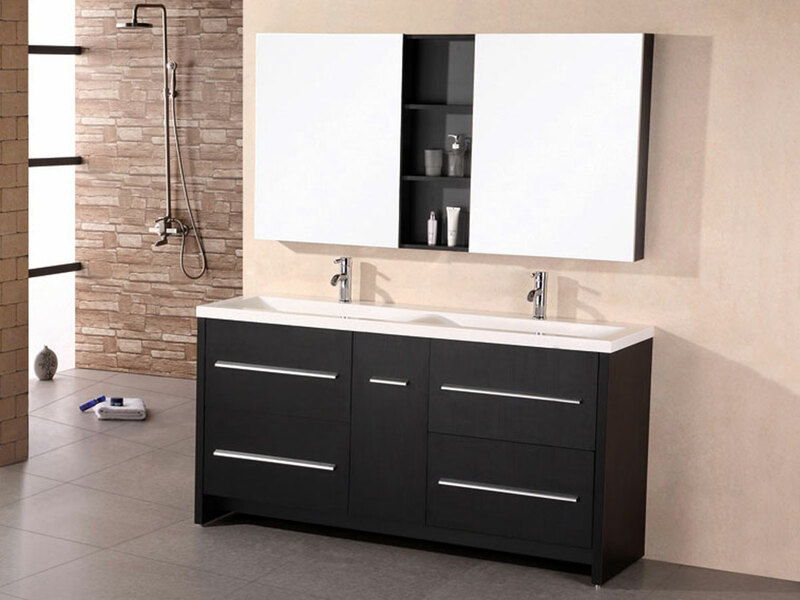 Designed to give you the best of modern styles with quality craftsmanship, the 63" Perfecta Double Vanity offers your bathroom an Espresso finished cabinet with an acrylic drop-in sink top. 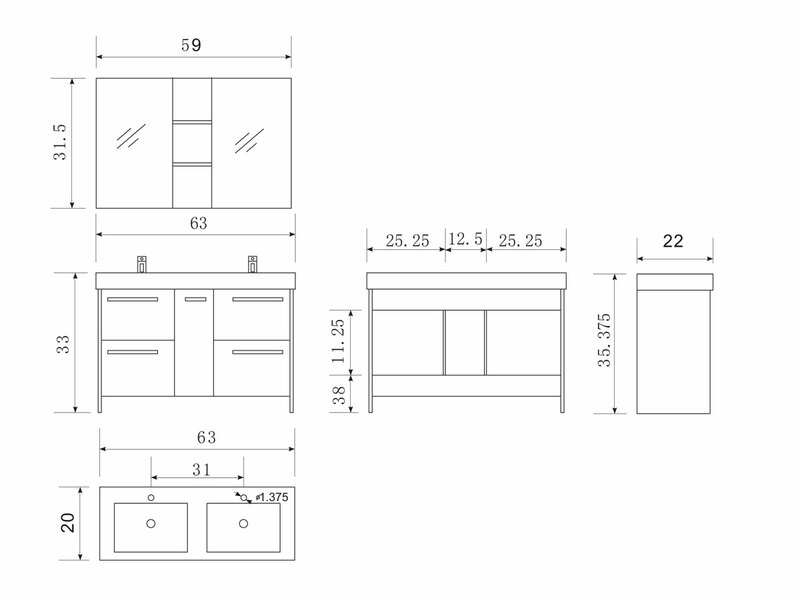 The cabinet offers a sophisticated design that features four large drawers accented with Satin Nickel finished hardware. Two mirrored soft-closing medicin cabinets are included with the Perfecta that is joined by a central shelving unit.